THE MOST FUN AND DURABLE REC-LITE EXPERIENCE! 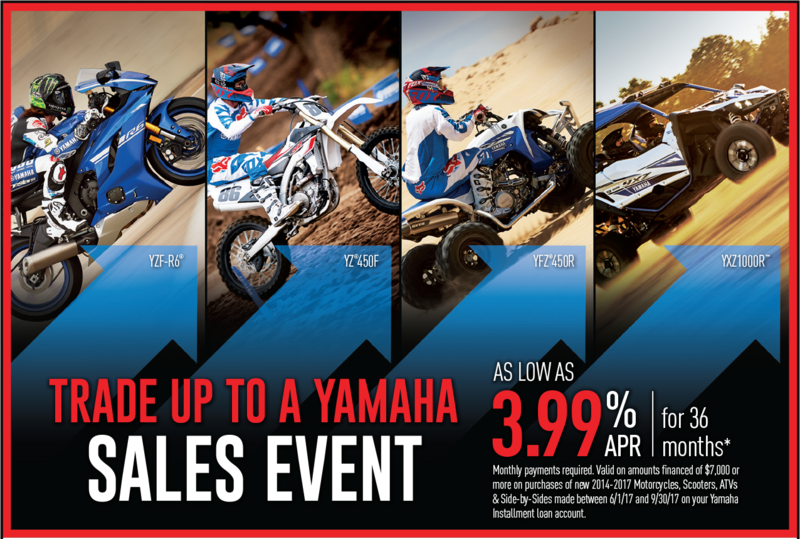 The Yamaha Get Out And Ride Sales Event is happening NOW!! 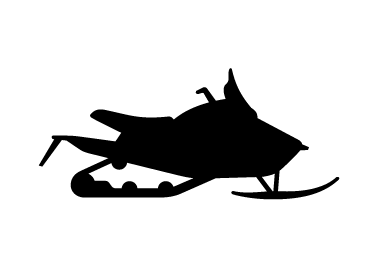 Rev in the new year at the Yamaha New Year’s Day Sale! Save big at the Black Friday Sale! The holidays are all about giving. That’s why right now we are giving you the best deals of the year at the Yamaha Holiday Sales Event. Pure Sport. Pure Genius. Zero interest for 6 months + free 30 month Y.E.S. [Yamaha Extended Service] contract OR up to $1,000 in genuine Yamaha accessories. Click for more details! Say Yes to Yamaha's Y.E.S and Low Financing! 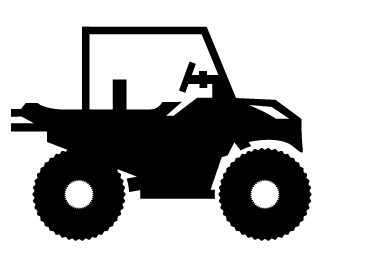 Yamaha Extended Services Offers the Best Coverage in the Industry! *Promotional period March 23-June 5, 2015. Four year warranty based on 3 year limited warranty and one year Yamaha Extended Service (Y.E.S.). 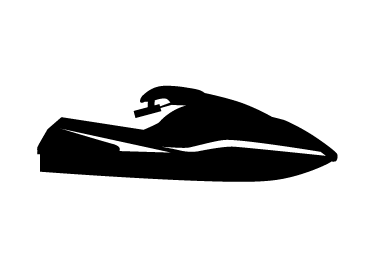 Benefit offered to Florida residents is a 48 month Yamaha Limited Warranty. Commercial/Rental Use includes 2 year limited warranty. 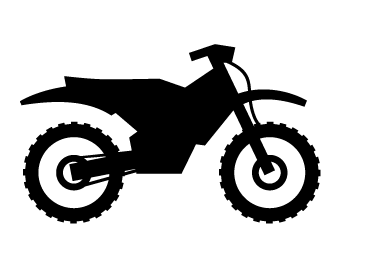 See Yamaha authorized dealer for details. Dealer or Customer must warranty register unit within 10 days of purchase. Customers can go to www.yamahawarrantyregistration.comto warranty register unit. ©2015 Yamaha Motor Corporation, U.S.A. All rights reserved. Shop Yamaha Today for The Best Savings of Spring! The sun is finally out and the weather is warm, it's the perfect time to get out and ride! 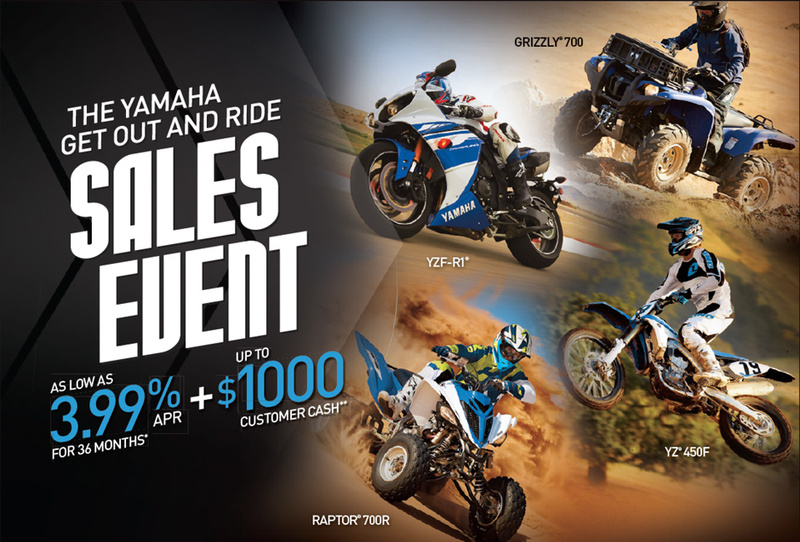 Save BIG during Yamaha's Get Out and Ride Sales Event! 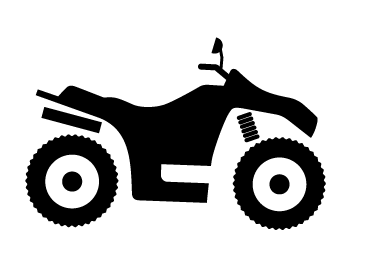 Stop in or give us a call today for the best offers on all Yamaha motorcycles and ATV's.